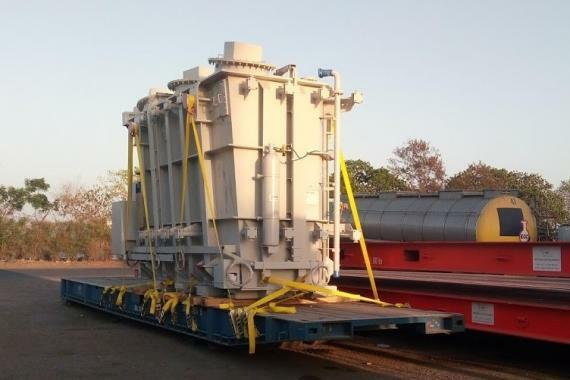 Members in India, Express Global Logistics (EXG) have recently handled 8 heavy lift packages of transformers and reactors for a large Indian power & energy company's substation project. The cargo was shipped from Mumbai Port to the site in Ziguinchor in Senegal via Dakar Port. The business was generated by EXG India and the 8 packages, 4 at 55mtn and 4 at 48mtn, were shipped in 2 lots from Mumbai Port. An EXG Project Specialist explains; "There were many challenges faced during the entire operation. However, everything was anticipated due to our extensive pre-planning including a route and site survey before shipping. A senior EXG manager was also flown from Mumbai to co-ordinate the entire operation from arrival at Dakar Port, ensuring timely documentation, port operations, loading the cargo from Mafi to the low-bed trailers, organising escorts for the cargo and assisting in executing the delivery and offloading on their foundations." 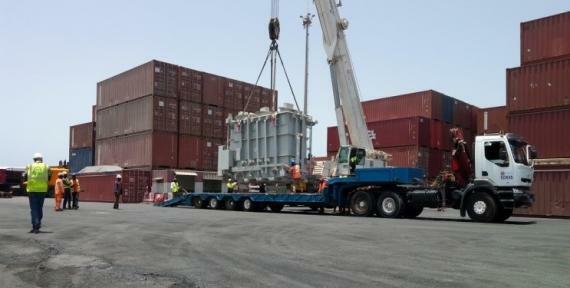 A Senegal Shipping Agency handled the destination part of the services and the final site, which was 900km away from Dakar Port, was a challenging road operation due to the height of the packages and at certain points, overhead cables had to be temporarily removed to allow a smooth passage. All work was done in conjunction with the Senegalese Road Authorities & The State Electricity Department. Thanks to the expertise and experience of EXG, the cargo was delivered safely, on-time and in perfect condition. EXG conclude; "It required an experienced and precise technique to handle the cargo and similar heavy lift shipments are expected in the future. We are furthermore handling a total of 50 containers (20' and 40') carrying the accessories of these heavy units from Nhava Sheva to Dakar." Express Global Logistics (EXG) are project specialists, established in 1946 with headquarters in Mumbai, India. An asset-based company with a pan-India presence, EXG are backed by their own fleet of Goldhofer hydraulic axles, cranes up to 450tns and warehouses.